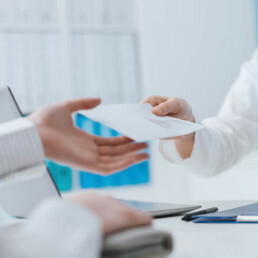 Our consultation typically takes 15-20 minutes and at that time we can continue on to your examination if you choose, but there is never any obligation attached to our Complimentary Consultation. We always schedule an exam block after our consultations so that you have to the freedom to continue into an exam without the hassle of trying to squeeze an exam into your schedule later. Ok, so you aren’t into the whole one on one consultation thing because you just want to learn about chiropractic. That is perfectly okay! This is why we also offer a 20-30 minute group presentation at our office that functions as your introduction into the world of Structural Correction Chiropractic. Our Structural Correction Examination is designed not only to find Structural Shifts of the spine, but also to show you how your spine compares to normal. 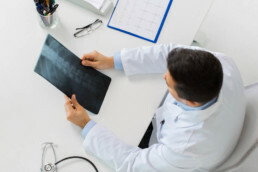 We take the time to not only look at your structure from the outside with our Digital Photographic Structural Correction Assessment, but we also look from the inside with our Structural Corrective Radiographs. You should walk out of our examination knowing what normal ranges look like and with a general idea of the severity of your case. After your examination we will schedule you for a conference where we will review the results of your exam, explain how we can help you, and discuss how we will proceed if you decide to work with our office.